Hey everyone sorry I haven't gone on in like ages. I've been so busy watching Naruto! It's so addicting!! Althouhgt I've still got quite a lot of episodes to go through. I also have to bring up something I found. 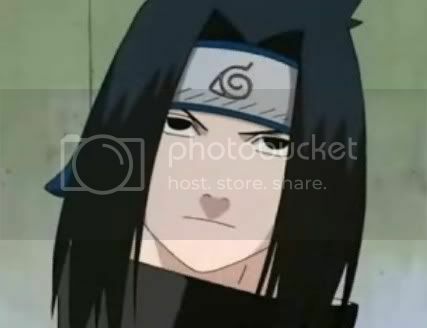 While I was wathing Naruto it shows Sasuke and I can't help but notice it looks very wierd. I a huge Sasuke lover but I couldn't help but laugh at him LOL! !